'What also comes through in the personal accounts is how local community rallied to help, setting out in small boats in dangerous conditions to bring people to safety. Providing dry clothes, food, medical care and transport once passengers and crew were on land; 681 people survived the ordeal. 'says Dr Wellington. For further information, please contact media@dia.govt.nz or call +64 27 535 8639. 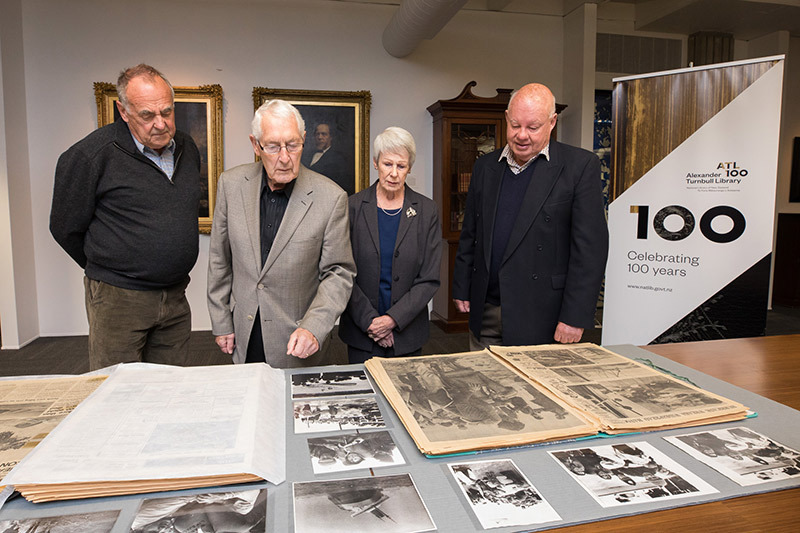 John Brown, Rob Ewan, Muriel Ewan and Doug Crombie, Wahine 50 Charitable Trustees who contributed stories to the collection, look over newspaper reports and photographs from the days following the tragedy. Image: Mark Beatty, Alexander Turnbull Library. 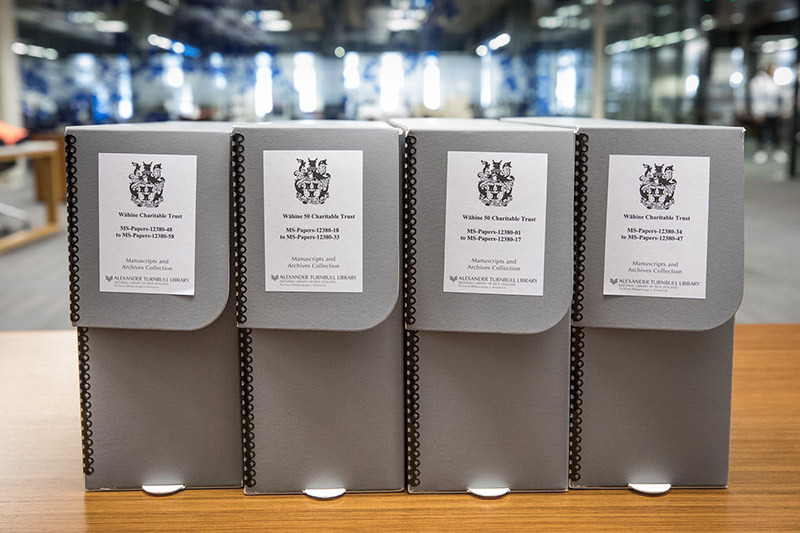 The Wahine 50 Charitable Trust Collection. Image: Mark Beatty, Alexander Turnbull Library.